Calm down, we know what you’re probably thinking. What’s this? Another eco car promising to change the world. Well, actually, no. And that’s the great thing about it. It’s just a regular car that just happens to have a super high-tech powertrain, with enough options available that mean you can enjoy an eco car with no compromise. Introducing the all-new Hyundai IONIQ. This is Hyundai’s first dedicated electric and hybrid model. What do we mean by ‘dedicated’? 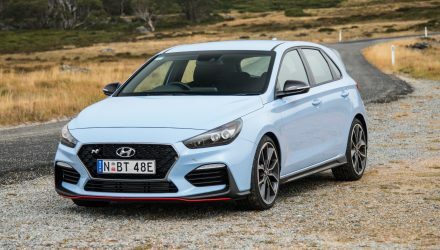 It is based on the i30 and Elantra platform, but it doesn’t share powertrains or body panels/design with any other model. It was created from the ground up to be an eco car, in other words. 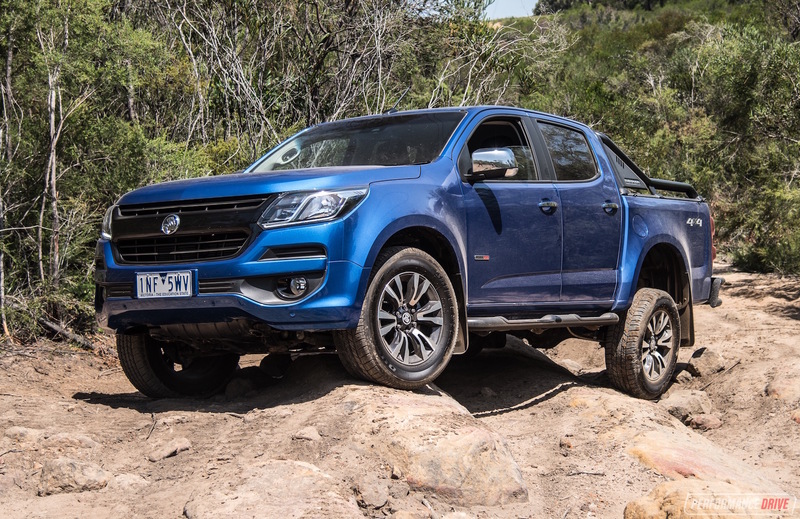 We were invited to test it out during the official Australian media launch in Brisbane. Here at PerformanceDrive, we’re not usually interested in covering eco cars. 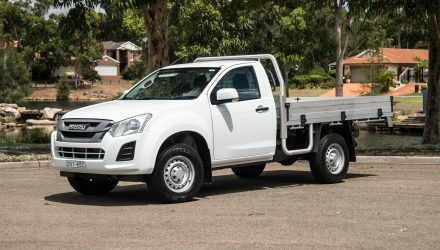 But on paper, this is a vehicle that has a real potential to change the game. Why? Because it’s available in hybrid, plug-in hybrid (with an electric range), and fully electric form. No other car on the market caters for all stages of tree-hugging like this, and certainly not in this friendly price range. 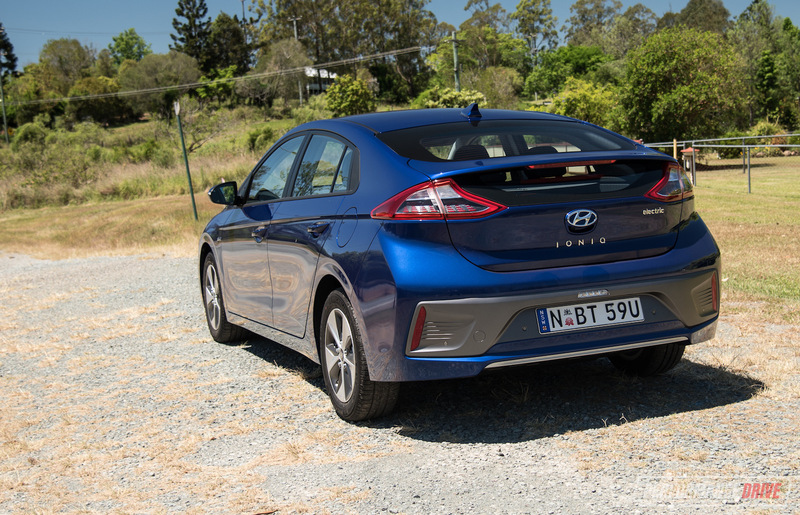 Prices for the hybrid start from $33,990, and from $40,990 for the plug-in, and from $44,990 for the fully electric version (all excluding on-roads). All models share the same body and interior design, mostly. The electric version uses a closed-over grille, as it obviously doesn’t need air intake for any radiators. There’s also a unique centre console, and, more obviously, a different gear selector system in the electric; it just has D, P, and R buttons. We really like the way Hyundai hasn’t created some out-there, futuristic interior with its first electric car. Sitting inside, it feels just as practical and as comfortable and as roomy as your run-of-the-mill Elantra. This is great for those considering an electric car but don’t want to make a big statement about it. And that’s the kind of feeling we get from the IONIQ overall. It’s not trying too hard, like a lot of the nearest rivals. But it’s like, yeah, why does a hybrid or especially an electric car have to stand out so much? Why can’t it just be a normal car, and something you’re familiar with and have known and loved for years? This is it. 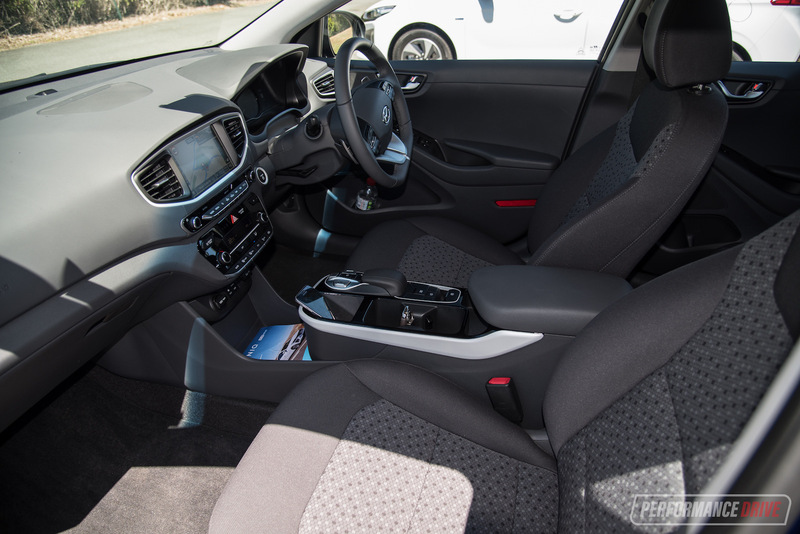 The interior is packaged together exactly like an i30 or Elantra. Most of the controls are exactly where you’d expect them to be, with conventional lights, switches and instrument cluster. Your mother could get in this, even the electric version, and probably drive it away without even asking where to put the key. She’ll probably even figure out the D button for Drive. Hyundai Australia is offering all three powertrain levels in two trim levels; the base Elite (which is actually more of a mid-spec in terms of equipment), and the top Premium which comes with all of the usual frills such as leather, power and heated front seats, electric sunroof, and Hyundai Auto Link Premium which allows you to remotely communicate with the car via a special app. 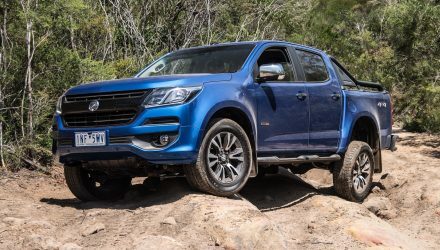 Forgetting that this is a bespoke car and one that features a high-tech powertrain, and the fact that Hyundai would have had to invest big money into it, like any other carmaker would, the base Elite is a very good value package. Even as a regular petrol car. It comes with so much equipment. We know it’s a bit boring to list features in a review, but let us reel off some of the highlights. 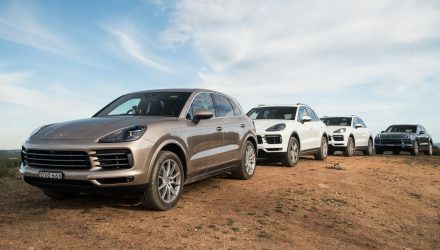 All models come with an 8.0-inch touch-screen media interface and utilise Apple CarPlay and Android Auto connectivity. 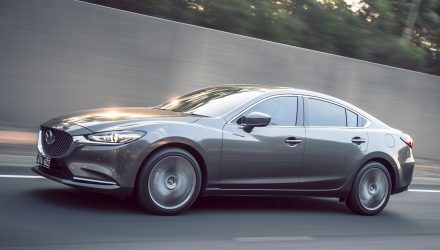 All come with digital radio and sat-nav, a premium eight-speaker Infinity audio system, and dual-zone climate control (the electric version actually comes with a clever single-mode climate so you can isolate the air-con to one side if you’re the only one in the car). Being an electric car (or hybrid) doesn’t mean you’ll have make sacrifices in safety. All have been given the five-star seal of approval by ANCAP. 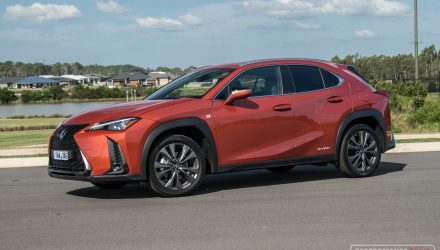 And impressively, all come with the full suite of safety tech including adaptive cruise control and autonomous emergency braking, pedestrian detection, and lane and blind-spot assistance systems. 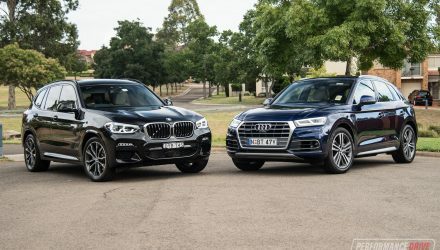 Media commonly only get a relatively short drive in the car during launch events like this, and journalists often have to pair up and share driving stints. For this event though we were lucky enough to be handed our own car so we could get away and do our 0-100km/h testing (see below). The drives were pretty short but we were able to test the electric version up and down the hills on some rather nice driving roads in the north-west of Brisbane. We also tested the hybrid and plug-in hybrid, but mostly on the open road and along some highways. This is all good as the electric one is probably the most interesting. Driving up and down an energetic and multi-tempo mountain road was not the typical road we’d usually think of to test drive an eco car. But it turned out to be a thorough and entertaining drive experience. So, behind the wheel. 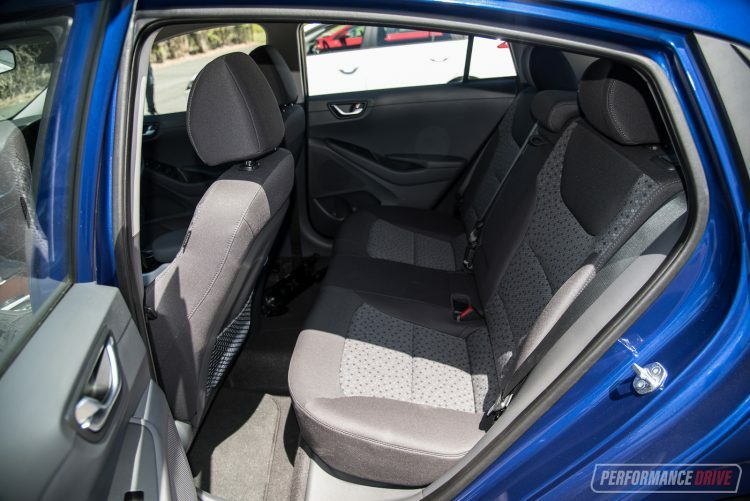 When you first get in and find a good driving position, which is easy to do, the dash and the seating is just like an i30 or Elantra. 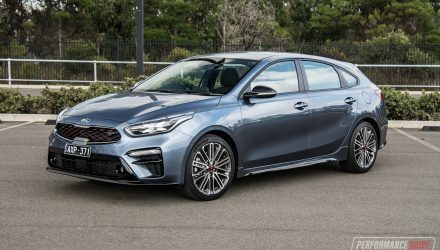 The steering wheel will be familiar to any modern Hyundai owner, with all of the usual controls for the cruise, instrument cluster menus and volume and so on. Where it gets a little weird is when you ‘start’ the car. You do have to turn it on, but it’s strange. It’s one of the only things we can think of that you turn on, but it doesn’t actually do anything. You’ll notice the gauges light up obviously and the media interface pulses into life. Aside from that, it’s just silence. From the moment you press the accelerator pedal, it all comes back to you. You realise, that’s right, this is a car. Then it’s simply a matter of getting used to the lack of engine noise. This doesn’t actually take that long, especially if you’re familiar with modern cars these days, which can be very quiet, with mainly wind noise reminding you that you’re moving. Up in the mountains the IONIQ Electric feels and drives just like an Elantra. 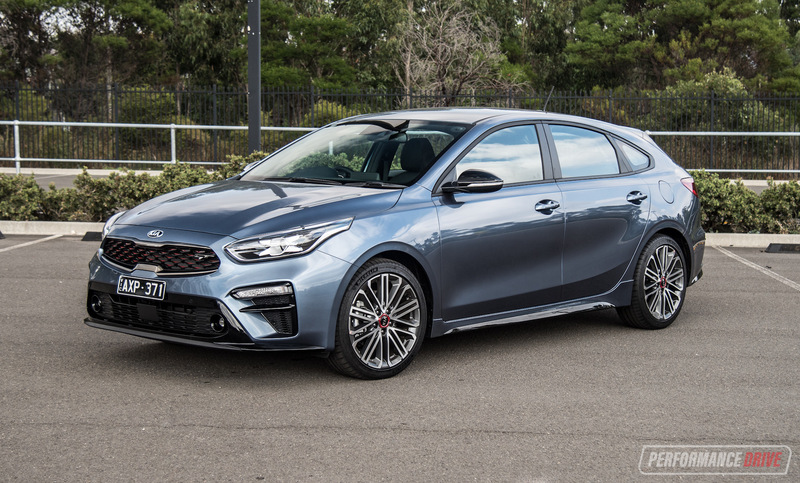 It feels good, pretty responsive in terms of the steering, and the handling is dynamic and well-suited to Australian roads. 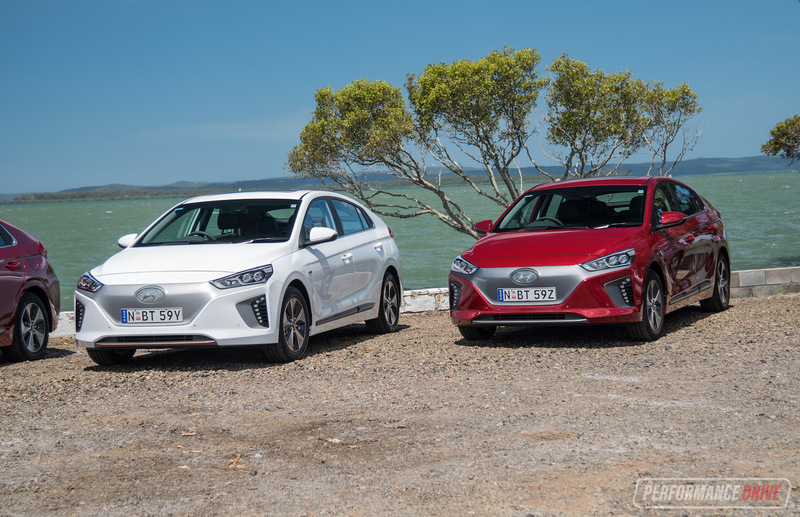 Like most Hyundai models, the IONIQ was fine-tuned in Australia for the local market, by overseas and local engineers. Some electric cars feel very heavy, because they are heavy. Yes, the centre of gravity is low but you can always feel that sense of heave, especially to and fro between S-bends. 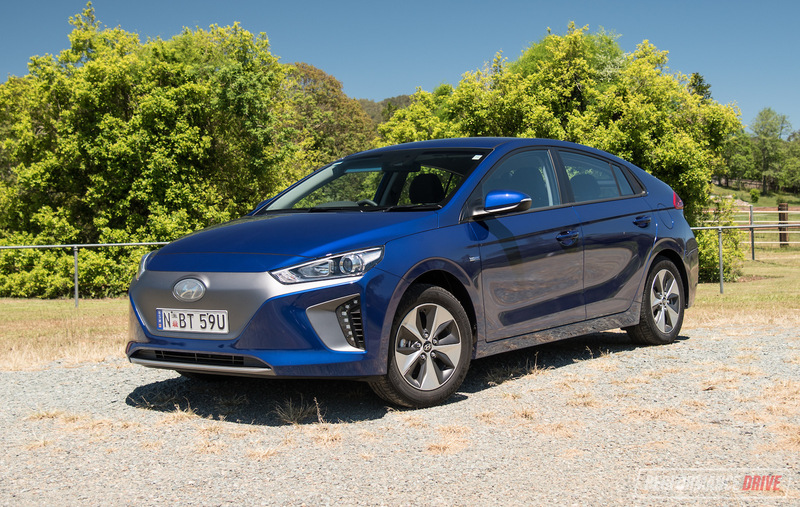 This is the biggest surprise of the IONIQ. It doesn’t feel heavy at all. 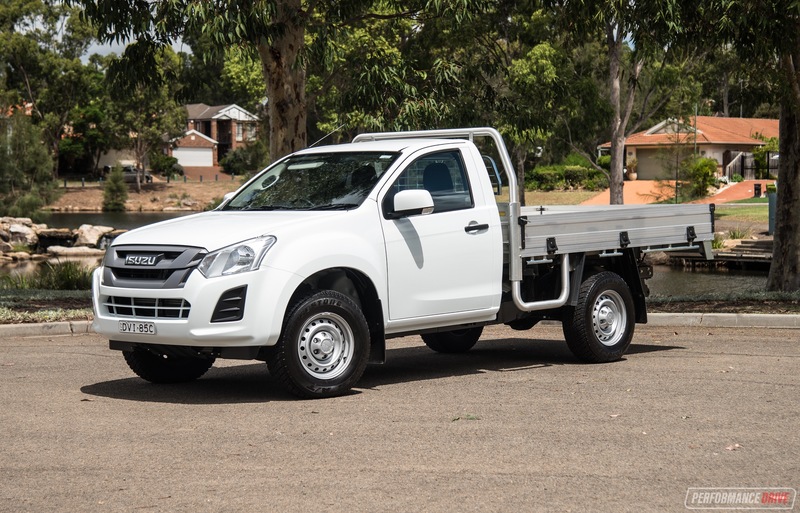 The electric version weighs between 1420kg and 1475kg, depending on the trim level. Without meaning to single it out, the top-line Subaru Impreza sedan, about the same size, albeit with all-wheel drive, has a kerb weight of 1409kg. Around corners it actually feels playful, with pleasant steering and decent feedback. Of course, being an eco car the tyres aren’t ideal for high g-forces. 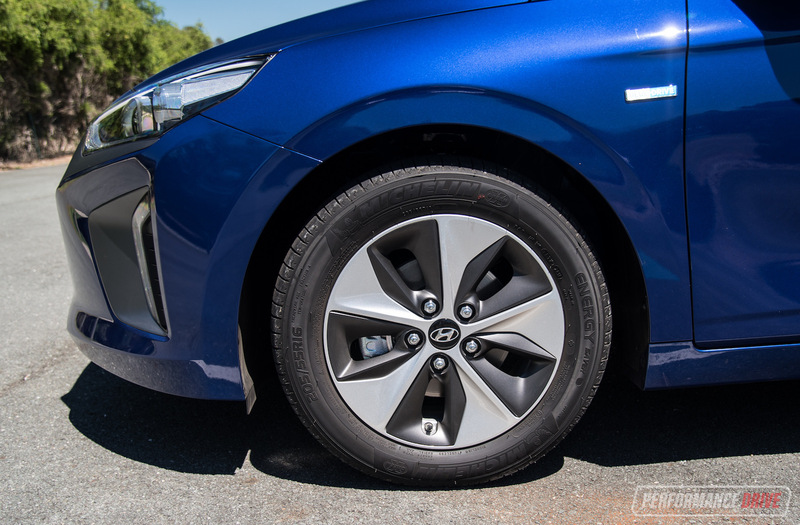 Hyundai offers a few different options for wheels and tyres, depending on the powertrain. With the electric version there’s only 16-inch alloys wrapped in 205/55 tyres, for both the Elite and Premium. The tyres are obviously beneficial to the overall efficiency, but they are the weakest leak when it comes t0 hard cornering. We didn’t get a chance to do any cornering tests with the hybrid, but we’re sure the lower-profile 225/45 tyres with 17-inch wheels on the Premium help to improve sportiness and agility, if only a little. As for the acceleration performance. There is a sport mode. Yep, we know. How exciting is that. It makes a very noticeable difference to throttle response in the electric. You only need to lean on it to feel some of that instant torque. Squirting around the mountains, the sport mode does come in handy. You can line up the corners and get into a fun rhythm. On a quiet back road we recorded some 0-100km/h times. The road was flat but these are by no means any sort of maximum-potential, quickest-time-you-could-ever-achieve figures. 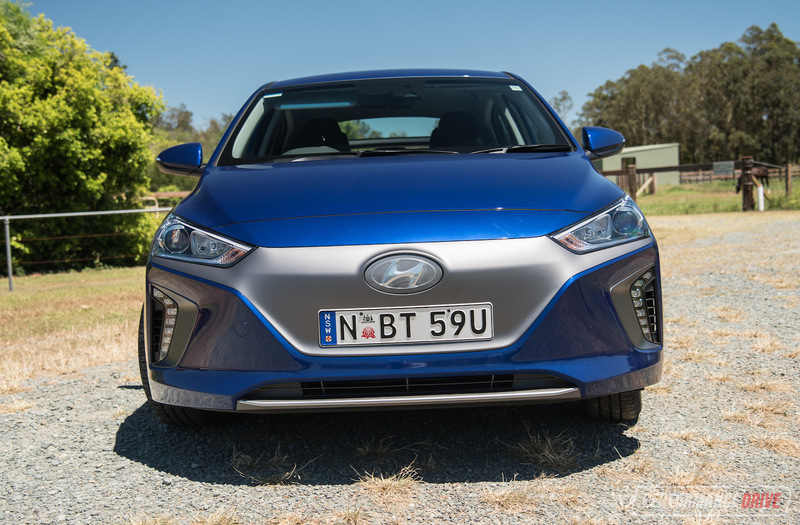 In the IONIQ Electric the best was 9.91 seconds, and 9.55 in the plug-in hybrid, and 10.19 seconds in the hybrid. The plug-in hybrid is the heaviest of all three, at 1495kg, and the hybrid weighs 1375kg (all kerb weight). 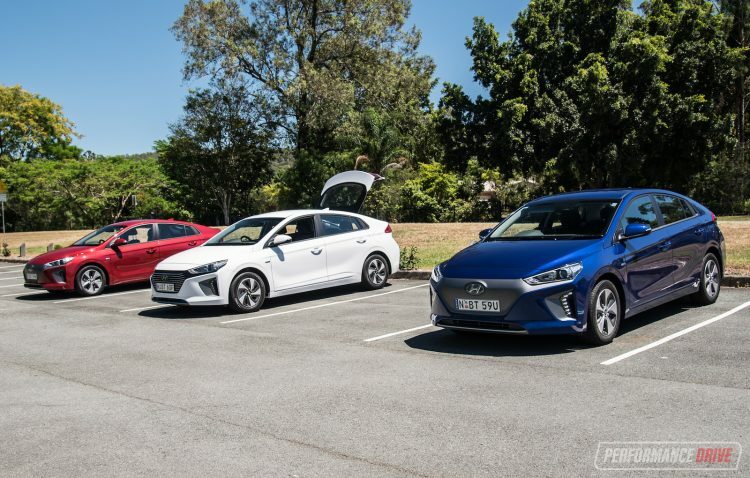 We think the hybrid was the slowest because it features the smallest, 1.56kWh battery with an electric motor output of 32kW, to the plug-in hybrid’s 8.9kWh, 44.5kW system – both offer a combined output of 104kW. The plug-in offers a 63km fully electric driving range too, and it seems to get a boost off the line, first starting with electric drive which is soon followed by the petrol engine. Unlike the hybrid which doesn’t offer an electric range. Either way, these are some totally respectable times for a car in this class. Keeping in mind they are very economical. Going for the hybrid, the official fuel consumption average is just 3.4L/100km, or 3.9L/100km with the 17-inch wheel option. Bettering that, the plug-in version is rated at just 1.1L/100km, mainly because it offers an electric range. You can charge it up too, and all models come with a normal Aussie outlet plug. This means you could drive the plug-in for the daily commute without using any petrol at all. As for the electric version’s range, the official rating is 280km according to ADR tests, with an estimated real-world range of 230km. Up and down the mountains we watched the range, which is displayed right there on the instrument cluster in front of you, fall from around 220km to around 170km. 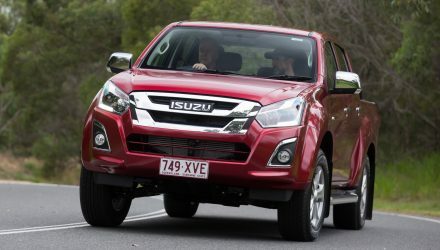 However, coming back down the mountain and using the regenerative braking system, the range climbed back up to 190km. That’s not bad considering the trip was around 60-70km, including some heated driving. Unusually, and fortunately for us driving fans, the hybrid and plug-in come with a six-speed dual-clutch auto. That means you can work through the gears in the plug-in while in electric drive mode. This is a very cool experience, and unlike any other vehicle on the market. Even in the electric version, the ‘paddle shifters’ allow you to toggle through the various degrees of regenerative braking. Coming into a corner you can pull the left tab and it’ll brake slightly as it pulls through the thick recharging mechanism. Pull it again and it’ll wind the car down more heavily. There are three stages to go through. This in itself is a form of engaging driving. Sure, it’s not like pulling the paddles on a V12 Lamborghini, but it is engagement nonetheless and can be fun in its own way. 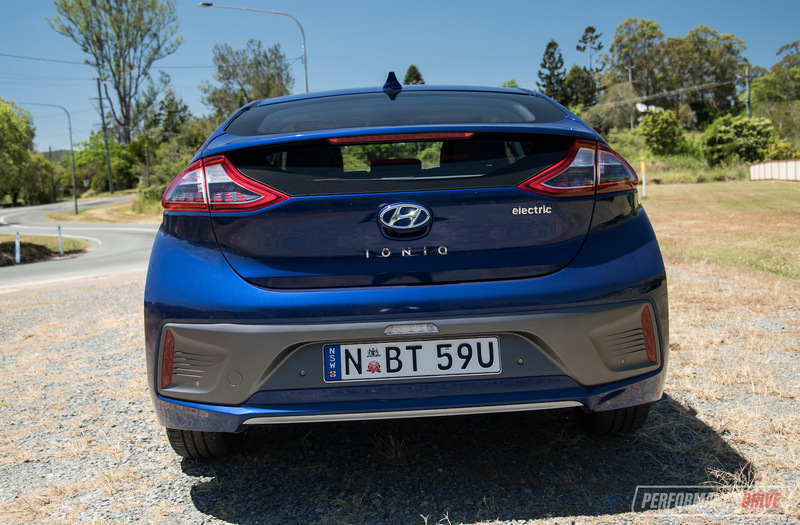 Forgetting that this is Hyundai’s first crack at a relatively new and unestablished segment, there’s nothing really to dislike about the IONIQ. This is an awesome first crack. We love that it is just a regular car, that handles and performs just like a regular, well-sorted and suitably-engineered, modern car. Yet, it features a very advanced and economical powertrain. If you’ve ever considered an electric vehicle but you don’t want to make a big deal about it, you need to check out the IONIQ. It offers all of the usual feel-good traits of a nice new car, but you’ll never have to go to a petrol station. And you’ll save the planet and all that. If you’re still a bit worried about range anxiety, there’s the plug-in hybrid. All versions drive very nicely and all offer the great practicality, value, features and safety, and extensive warranty Hyundai is renowned for. 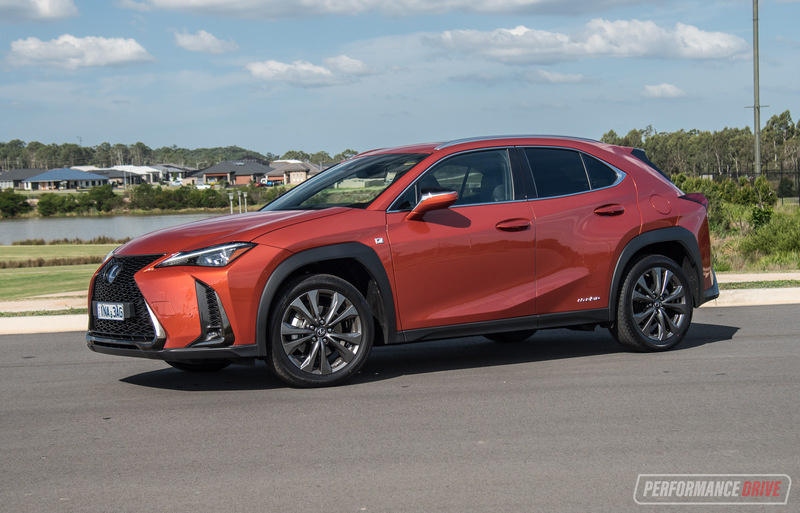 This is a mind-changing vehicle and a pioneer, as it shows you don’t need to go crazy with designs and power (and prices) to help influence a shift from combustion engines to more environmentally-conscious power sources.